The security outlook of prison management has transitioned over the years in the Israeli Prison Services and worldwide. This in essence means a shift from holding prisoners and preventing their escape from legal custody, to a state where an attempt is made to rehabilitate the prisoner, give him corrective tools and reinsert him into society as a useful normative citizen. This change is especially prominent in the democratic western countries with an emphasis on Europe. 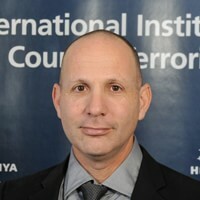 At the Prison Service in Israel there is constant tension between two goals: the security goal and the treatment goal. The Prison Service in Israel developed a specialty in handling the criminal prisoner population, which is both complex and heterogeneous. This organizational specialty is manifested in an understanding that has developed over the years, regarding the ability of the different correction fields to create, in combination between them, leverage for obtaining goals. This specialty is the understanding that the safety of the prisoners in the prison is the basis for practice in the treatment field, together with treatment, education and employment which are the “stabilizers” of the security in the prison. This approach refers mainly to criminal prisoners, residents of the country, who after their incarceration return to the society they were taken from. The understanding that there are prisoners that are not residents of the country and whose reason for arrest is not criminal began to develop in the country after the Six Day War. This development was not a result of a political or organizational policy but as a result of a new perception of security prisoners built during series of hunger strikes that led Israel to ease the living conditions of security prisoners due to the probable impact of these events in Judea, Samaria, and Gaza. A leading principle in the organizational policy was creating an independent management mechanism for security prisoners. This management method enabled the conditions of radicalization and substantial expansion of terrorism within and outside the prison.